- !!! 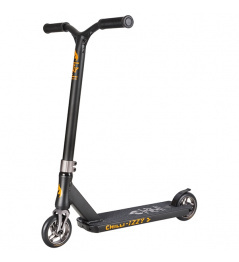 scooter is designed for children of small figures, due to the dimensions of handlebars and boards !!! Hmotnost: 3,3 kg. Pro mírně pokročilé jezdce. Koloběžka vhodná do skate-parku i na street. 0 Review "Ride 858 GR Water Melon freestyle scooter"